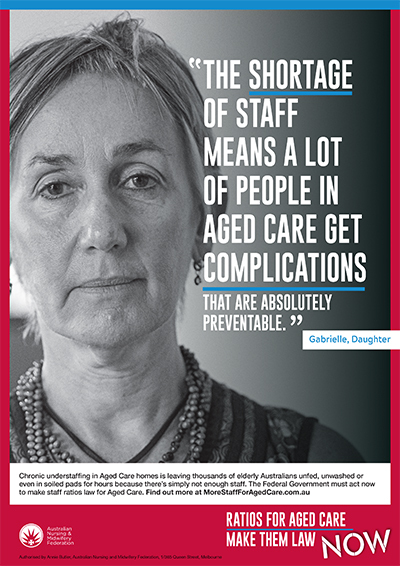 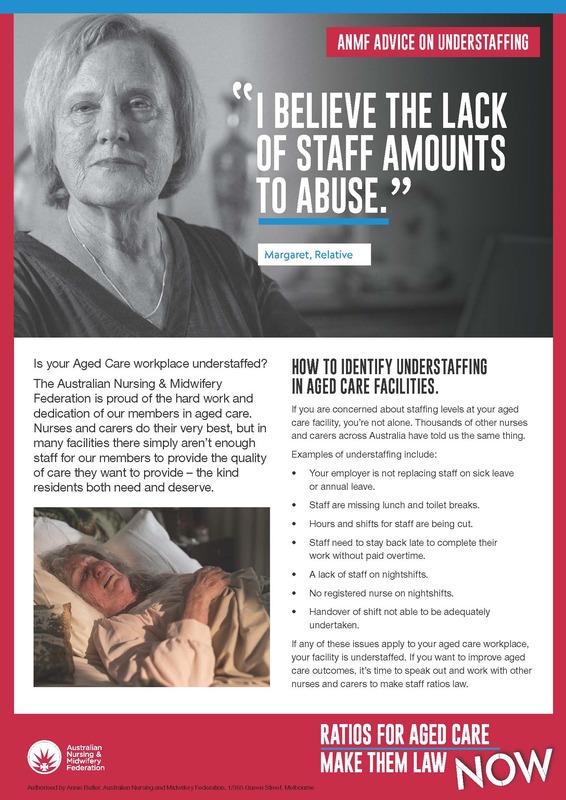 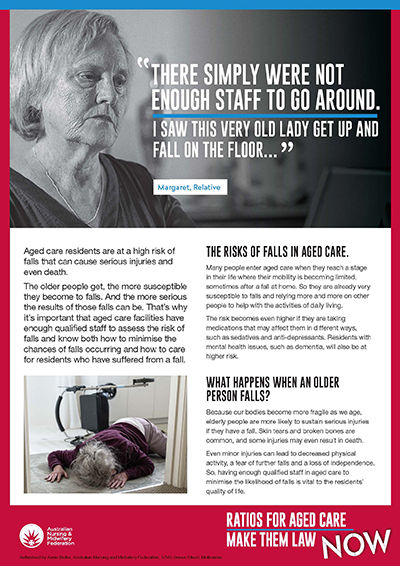 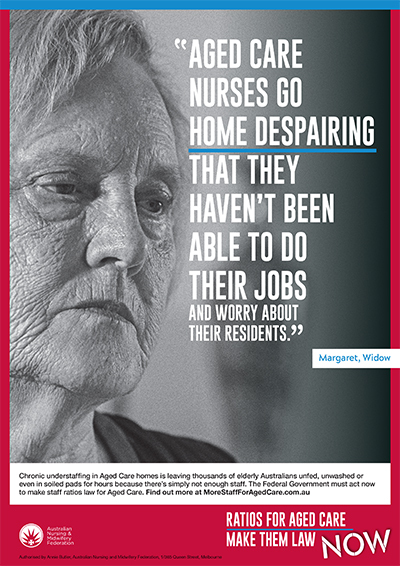 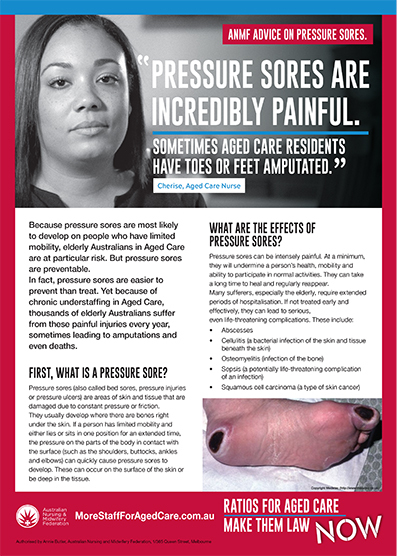 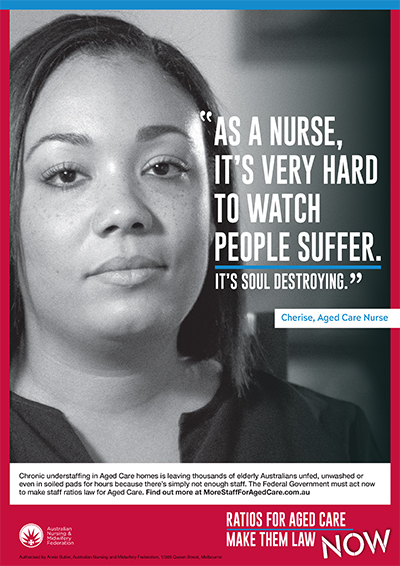 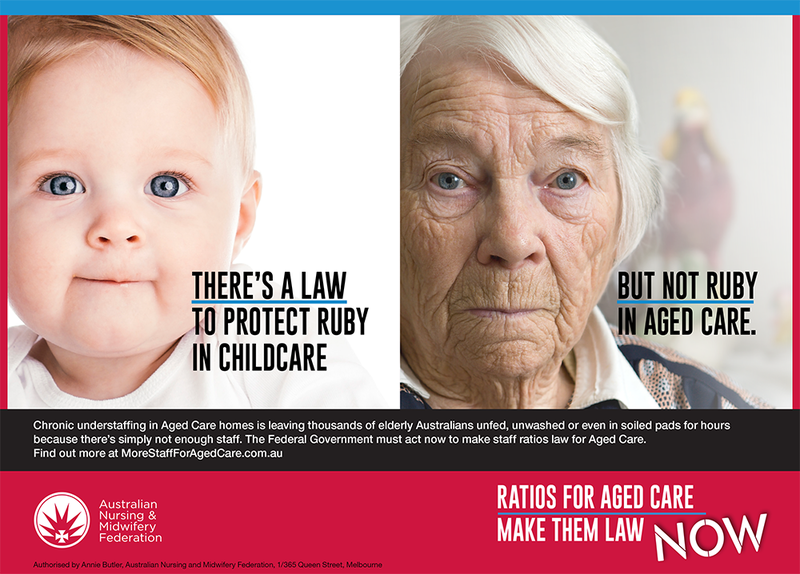 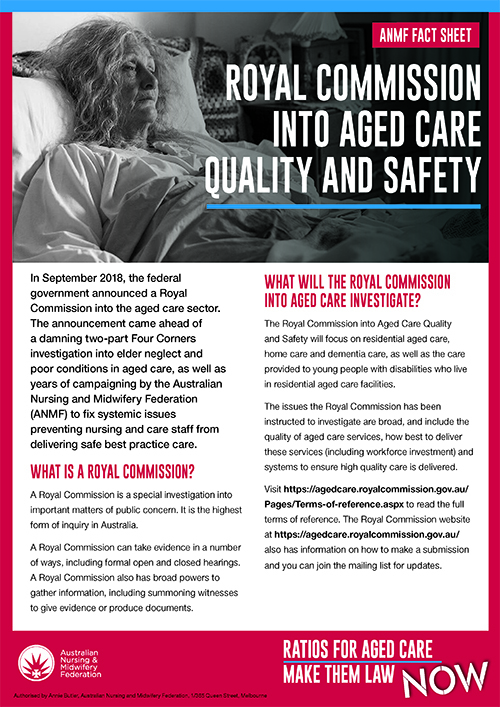 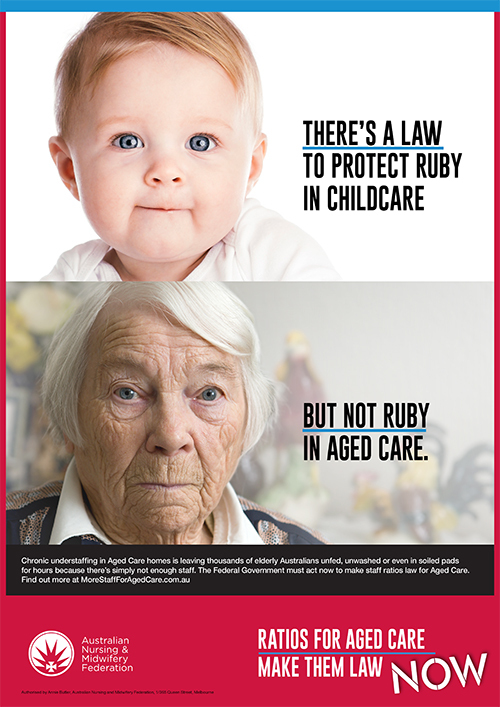 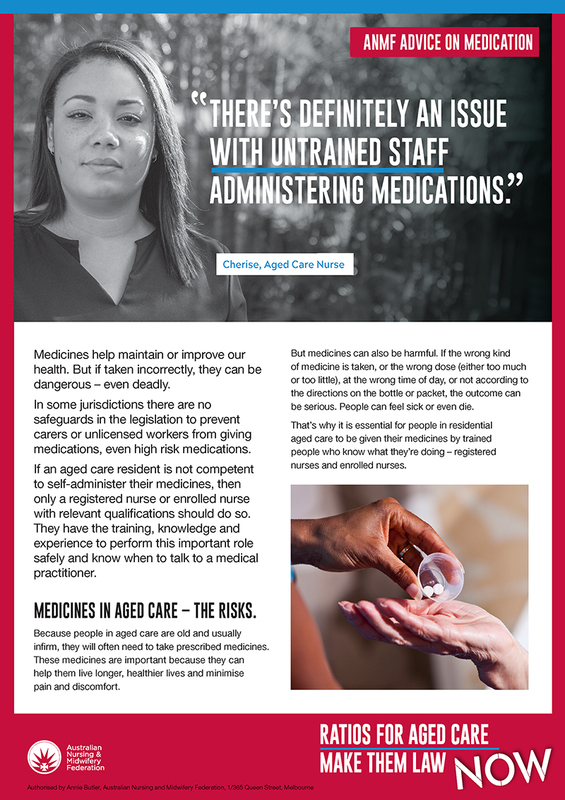 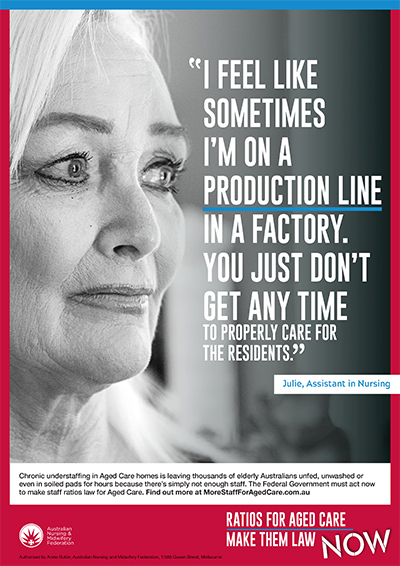 Thank you for supporting the Ratios for Aged Care Make Them Law Now Campaign and joining the thousands of supporters who understand that to ensure our elderly get the care they need, laws are urgently needed to address the chronic under-staffing in aged care facilities. 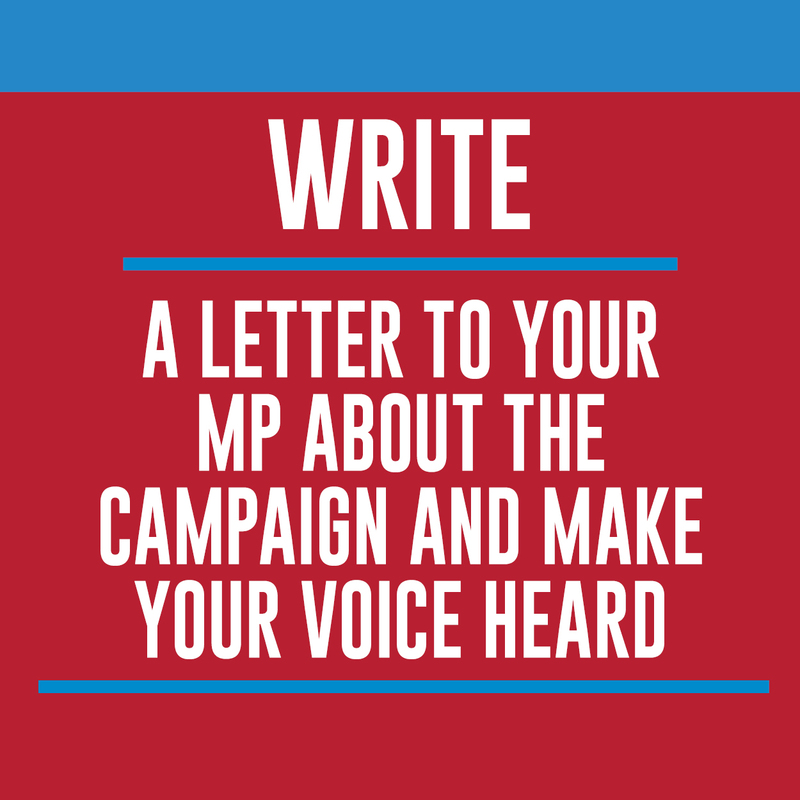 You can get more involved and spread the word about the campaign by printing and displaying posters and other campaign materials in your local area, helping to run activities or a stall at a community event, writing a letter to your MP or having a conversation with a friend or colleague. 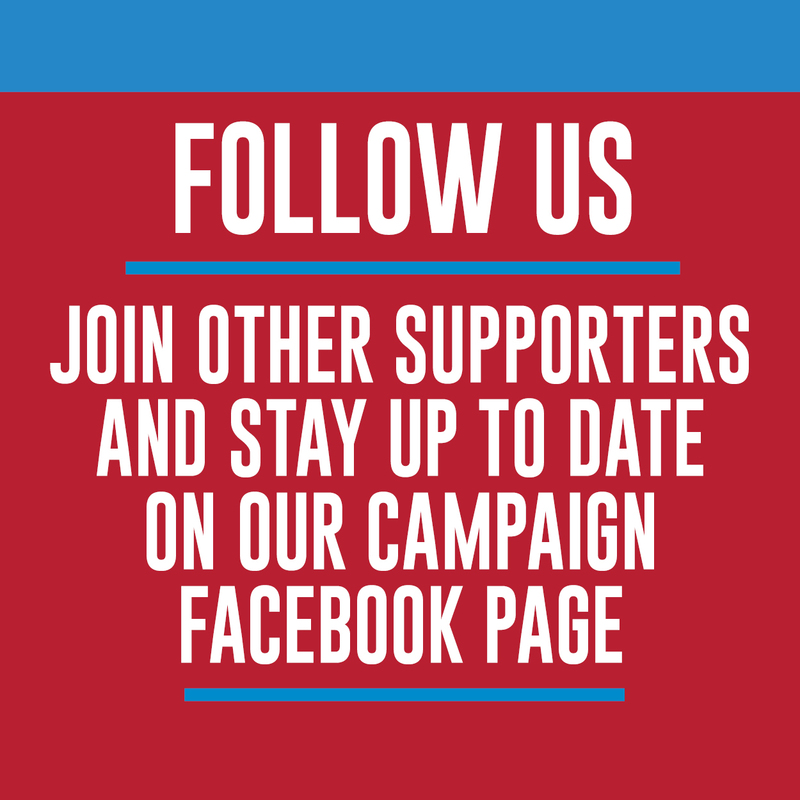 You may also have your own ideas! 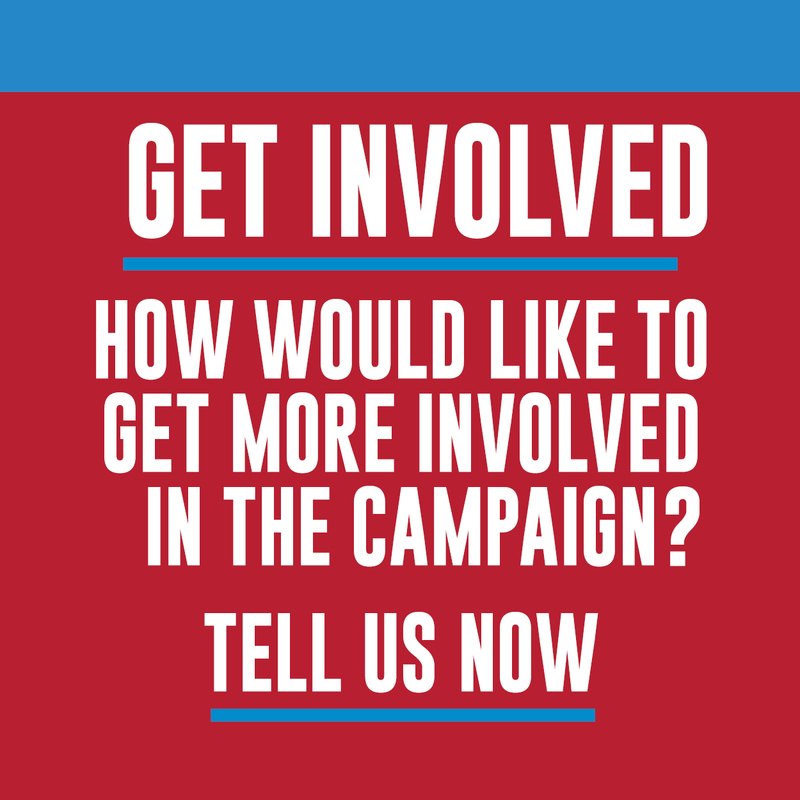 See some of the campaign resources available below.